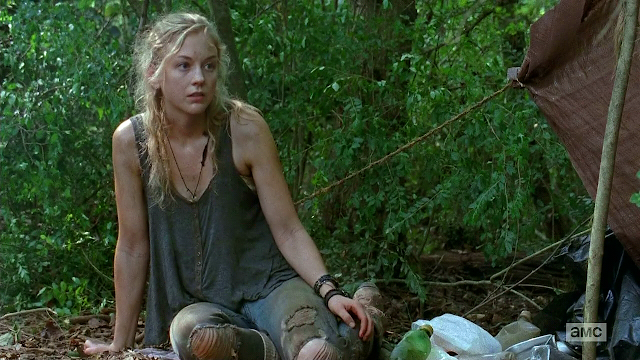 She's Fantastic: The Walking Dead's BETH GREENE! The Walking Dead's BETH GREENE! In my first few months doing this blog, I randomly picked up a comic-style Walking Dead Michonne from a Toys R Us that was clearancing all its inventory. At that point I had never read a single Walking Dead comic nor seen a single episode. But since that fateful review I fell hard for the property (at least the TV side of it). This crew of amazing characters trekking their way up the east coast while avoiding zombie pitfalls has been one of my favorite stories for years. One of my favorite aspects of the show is how so many characters start out afraid and helpless, but grow into strong formidable members of the group. Beth never becomes a total kickass character like so many of the others, but she definitely became one of the most likable. I'm not sure what the future holds for this line. I have a feeling this wave may be the last of the AMC line. There is at least one more comic wave, and a new Fear the Walking Dead spin-off line. But I'm still holding out hopes for Sasha and Rosita figures. Let's check out Beth! Beth comes with a machine gun, a handgun, and a knife. Her hands have pegs coming out of her palms that ware intended to make it easy for her to hold her weapons, but I found that the pegs are really soft and perhaps a little too large to comfortably fit into the accessories. These figures are very highly articulated in a way that blends in nicely to the unique clothing details of all the different characters. I love Beth's sleeve-gloves. They really exemplify her timid nature throughout much of the show. Here is Beth with her sister Maggie. All the AMC ladies so far: Michonne, Maggie, Beth, Andrea, and Carol. I completely understand what you're saying about your disappointment. None of the characters seem spot-on to me (except for Michonne), but I actually think Beth is a better likeness than Maggie or Carol. Hair is always tricky. In prototype form it usually looks great, but in final production it usually looks like snakey dreadlocks. I wasn't seeing Beth anywhere in stores. Finally found her at Walgreens a few weeks ago so I couldn't be too picky. My comments also double-post too. It's so weird.